Restless Legs Syndrome (RLS) is a condition is characterized by unpleasant, hard-to-describe, cramps, aching, creepy-crawly, itching, or pulling sensations and an overwhelming urge to move the legs. Sometimes only the urge to move the legs is present. While the condition can occur whenever the legs are at rest, it is most disturbing at night (when there are no surrounding distractions) because it interferes with sleep. Often, patients with restless legs notice that their symptoms subside in the early morning hours. Other periods of inactivity like airplane flights, long car trips, meetings, sitting in a movie theater, or leg immobilization in a cast or splint can trigger restless legs. Often restless legs can be accompanied by involuntary leg jerking. In severe cases, restless legs syndrome can cause sleep deprivation, emotional distress, and poor job performance. Many diseases have been linked to restless legs including kidney failure, diabetes, and peripheral neuropathy. Several types of medications can lead to restless legs including: anti-nausea drugs, antipsychotic drugs, some antidepressants, and some cold and allergy medications. There is certainly a subset of patients with restless legs who benefit from having their venous insufficiency treated. Studies suggest that the 22% of patients with restless syndrome may also have venous insufficiency. A 2008 study compared 33 patients who had restless legs and venous insufficiency. Eighteen patients in this group were treated for their venous insufficiency and 15 patients were not. 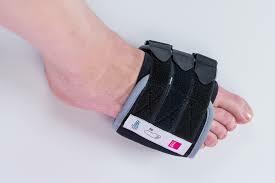 All eighteen patient who were treated for venous insufficiency had significant improvement in their restless leg syndrome, while the 15 who were not treated did not have improvement. Another study in 1995 showed treating varicose veins with sclerotherapy in patient with restless leg syndrome improved their symptoms. These limited studies suggest that in some patients with restless legs, venous insufficiency may be playing a role, and treating venous insufficiency may improve restless legs in this subset of patients. Therefore, it not unreasonable for patients with varicose veins or other symptoms of venous insufficiency who also have restless legs syndrome be evaluated by a vein specialist. Restiffic: A New treatment for Restless Leg Syndrome? 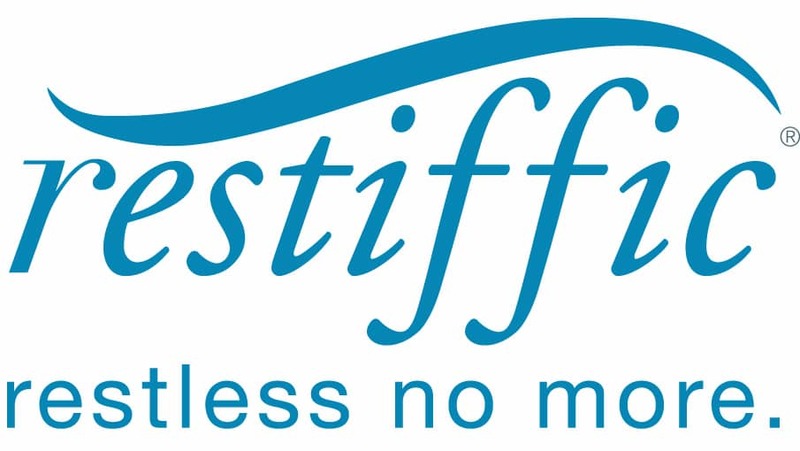 Restiffic is a newly introduced foot wrap for the treatment of Restless Legs Syndrome (RLS). It has been cleared by the FDA for prescription by a health care provider. Restiffic works by applying pressure to targeted muscles in the foot. It is thought that this continuous pressure on the muscles sends a message to the brain to release dopamine that overcomes the dopamine dysfunction thought responsible for restless syndrome. 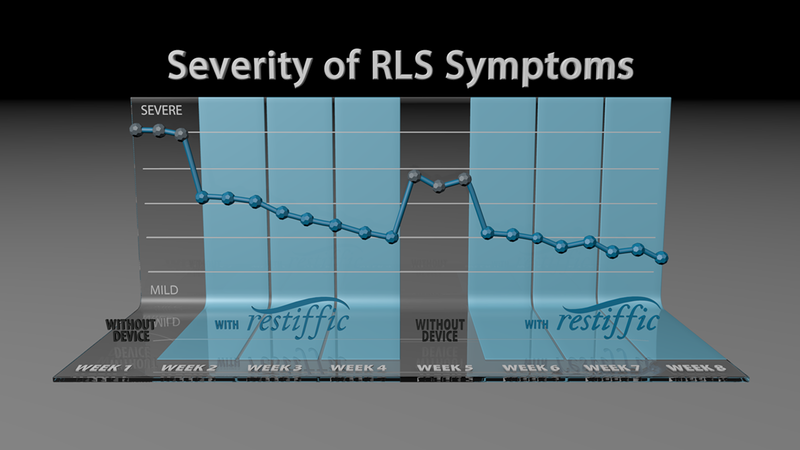 The experience with this device is limited, but some studies have found significant incidence of relief, with one study showing higher relief with the Restiffic device than with a medication used to treat RLS.